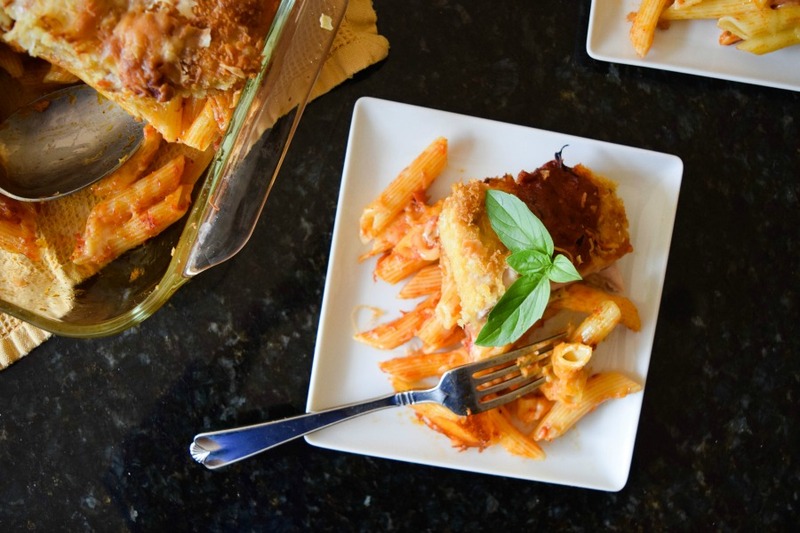 A favorite plate for my family is my Chicken Parmesan Casserole. 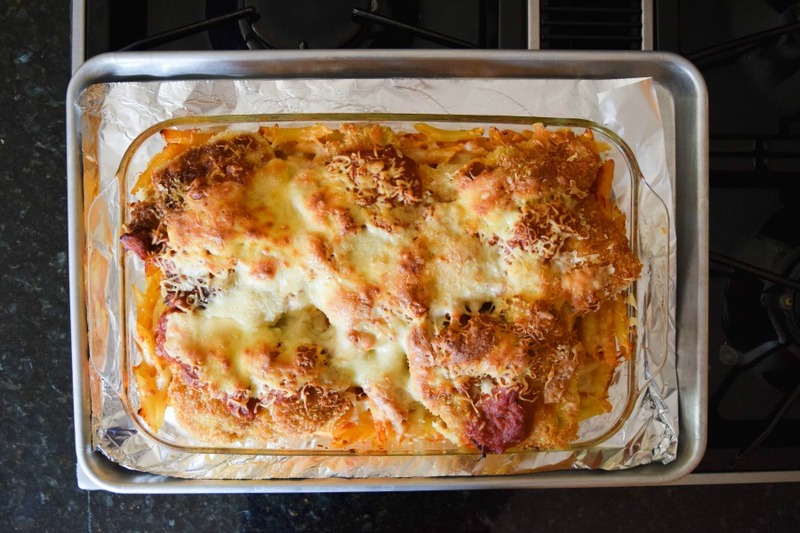 It’s hearty, it’s cheesy and in a house of picky eaters it’s something we can all agree on. 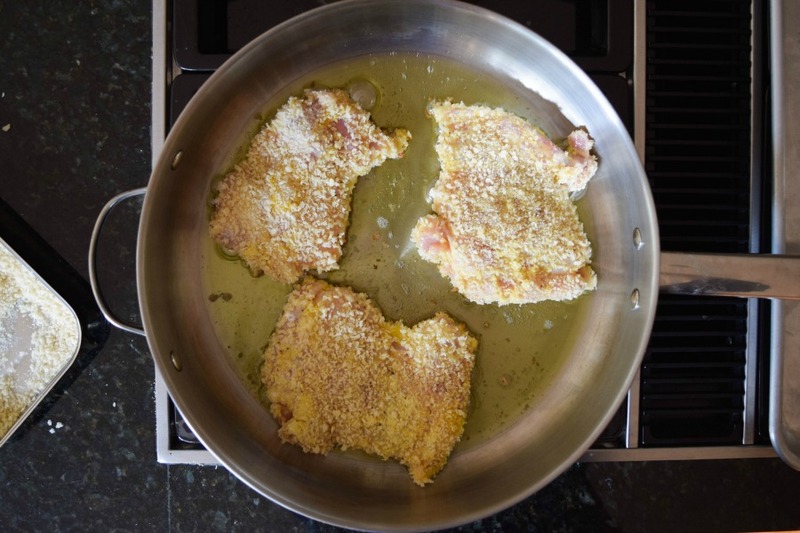 The chicken is lightly breaded which creates a satisfying crunch in the midsts of all the ooey, gooey cheese. Pick your favorite pasta sauce, noodle, and farmer owned ingredients to whip this quick dinner up in a flash for a cozy Fall meal! In a large pot of boiling water, cook pasta according to package instructions until al dente. Strain and mix with half of the tomato sauce. 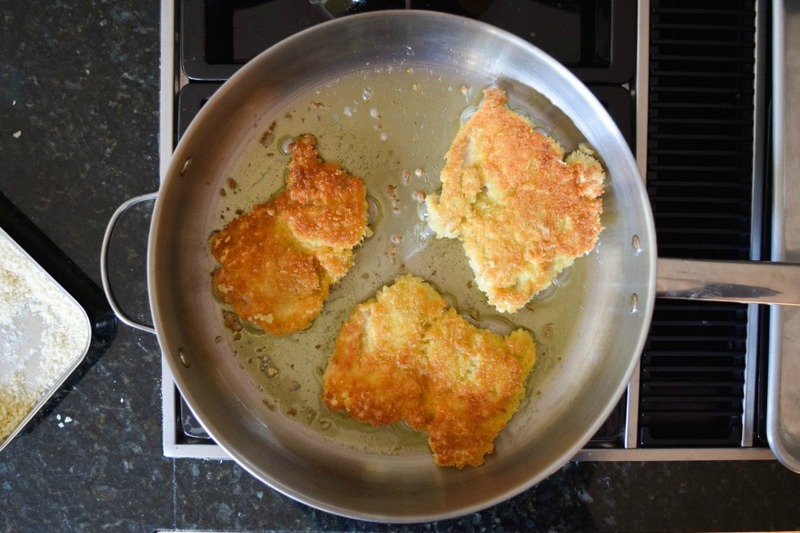 Place your chicken thighs between two sheets of parchment and using a mallet or rolling pin, pound out until the chicken is 1/4 of an inch thick. Place the flour, garlic powder, onion powder, salt and pepper in a shallow dish and whisk together. Place the eggs in a second shallow dish and whisk. 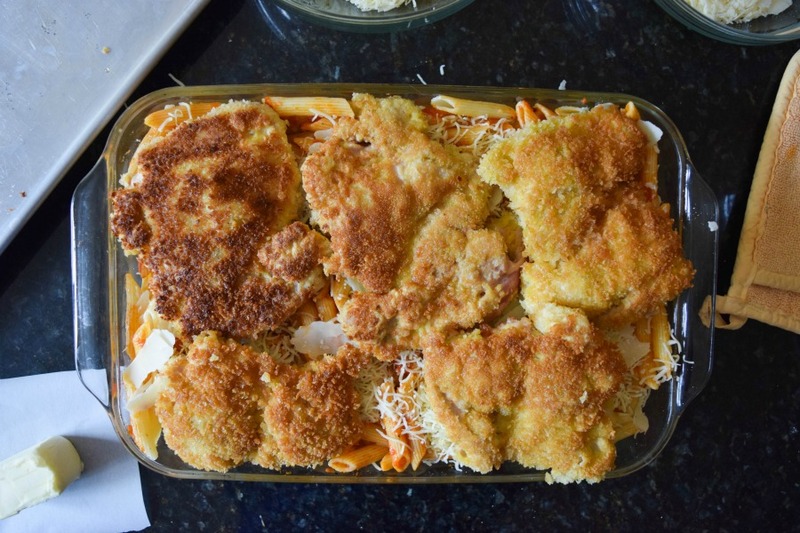 Finally, place the bread crumbs in a third shallow dish. Heat olive oil in a large sauté pan. 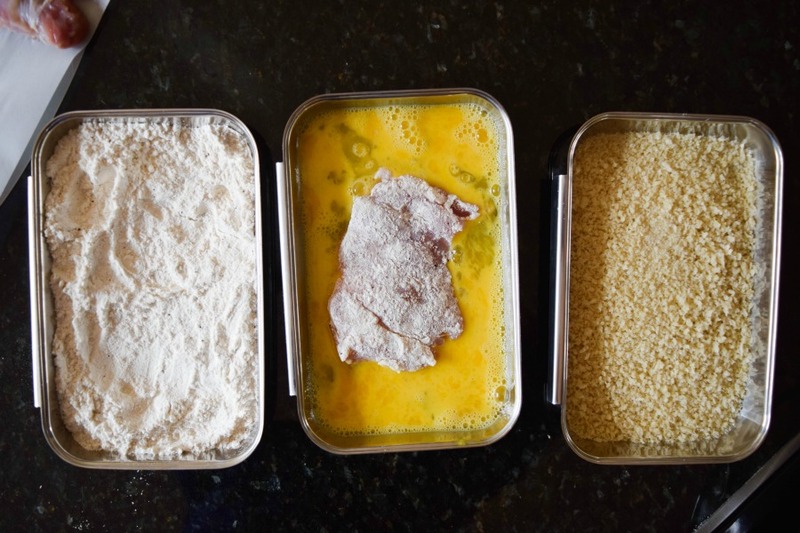 Coat chicken in flour, than egg, then breadcrumbs and place into the hot oil. Repeat with the rest of the chicken. Cook chicken for 4-5 minutes on each side until golden brown. Remove from the heat, place on a sheet tray and set aside. To assemble, butter a 9x5in baking dish. Place half of the pasta in the bottom. 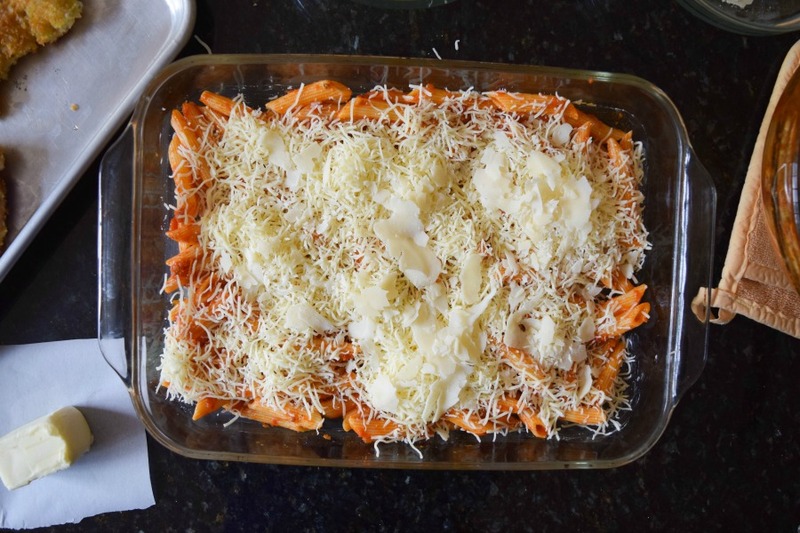 Cover pasta with half the mozzarella and half the parmesan. Follow with the second layer of pasta. 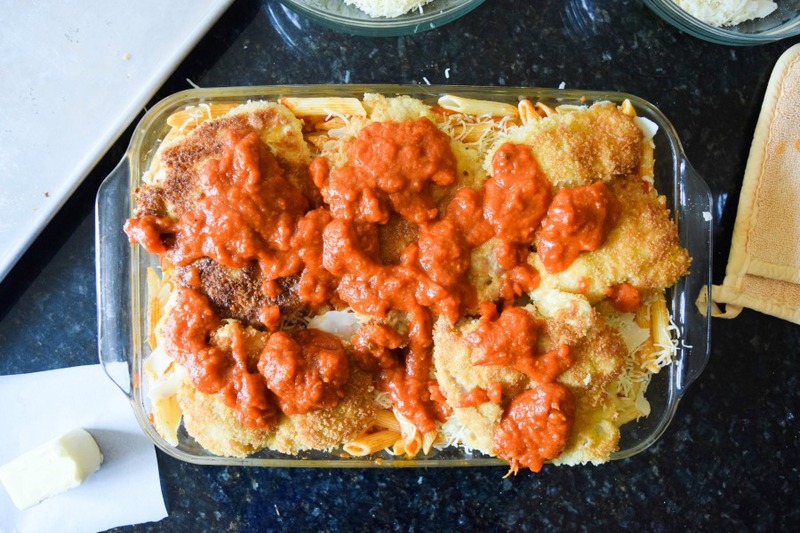 Top chicken with second half of the tomato sauce and cheeses. 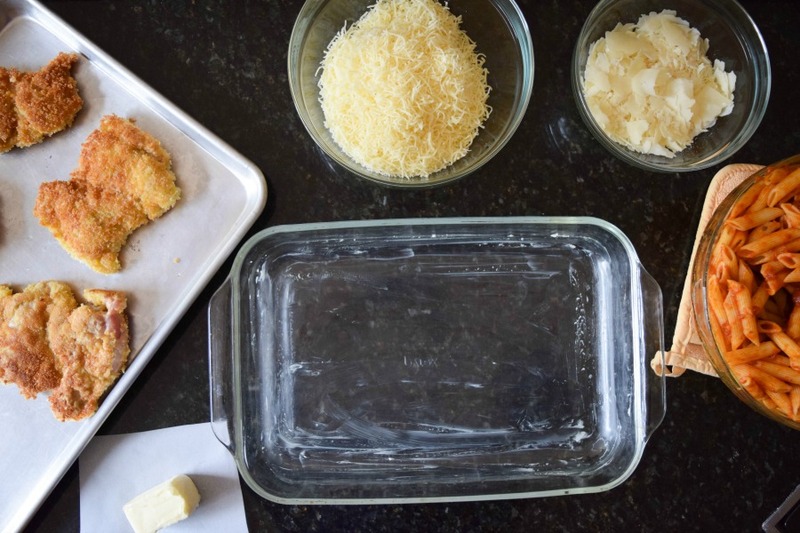 Place in the oven and bake for 45 minutes to an hour until the cheese is bubbling and golden brown and the chicken has reached an internal temperature of 160°F.